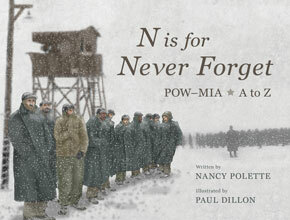 Heroes can be found in almost every aspect of life, and each one influences those around them in special ways. Certain people stand out, however, in their ability to inspire others through their humility and willingness to sacrifice for a greater good. To the world around them, Suri and Edda Sehgal are superheroes, jumping at any chance to help others. But to Suri and Edda, their acts of kindness are their way of planting seeds in the garden of life. 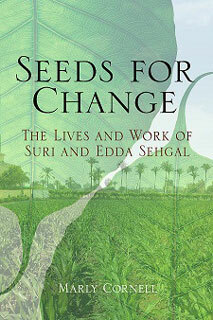 The award-winning biography Seeds for Change: The Lives and Work of Suri and Edda Sehgal by Marly Cornell shares the story of how the values and experiences learned in Suri and Edda’s childhood, as well as Suri’s work as a seedsman on hybrid corn, helped to enrich other people’s lives and create positive change for those in need across the globe. Suri and Edda decided to create a family history to help their children understand the events in their past, and the book was originally only going to be for their family. Neither Suri nor Edda had ever told their children about their past, such as being refugees or crossing paths with major figures in history. Now their biography, Seeds for Change, which shares the Sehgal family’s story, inspires others to create positive change in the world. Seeds for Change is more than a collection of family events in the past though; it is also a model of not giving up in the face of adversity. Just as Suri learned from his father about the importance of kindness to others, people everywhere can learn from Suri and Edda about the difference they can make in their community, nation, and the larger world. 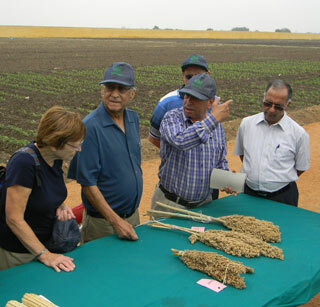 Edda and Suri Sehgal meet with hybrid corn breeders in Egypt. The biography revolves around the development of hybrid seeds: Suri’s work with hybrid corn has contributed to agriculture worldwide. By combining the techniques he learned at Harvard and from other important figures in his life, such as William L. Brown (a highly-regarded geneticist and Suri’s mentor in work and life), Suri was able to use his education to develop high-yielding corn and make it available for breeders, who still use it today. Suri and Edda Sehgal’s lives also revolve around a different kind of seed: the values they were taught during their youth. Although they lived distinctly different lives before meeting each other in America, they each retained central values from their parents. For Shahji, Suri’s father, kindness to others was always on his mind. 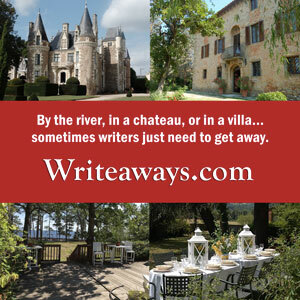 He graciously offered their home to any visitors, and often cancelled debts with no need for repayment for a sharecropper whose crops failed. 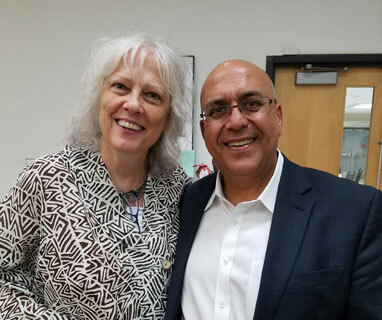 When violence shook their hometown (during India’s brutal Partition in 1947) and the Sehgals lost everything and became refugees, Suri saw his father’s generosity come full circle as many others helped the Sehgals get back on their feet in their new location. Both of Suri’s parents believed in the value of education and were willing to sacrifice to ensure their children could have a better life. Edda had also been a refugee as a child, fleeing the Soviet army in German Silesia at the end of World War II. Having finished the equivalent of two years of college in Germany and wanting to become fluent in English, Edda came to the United States as an au pair in the home of Henry Kissinger. Edda has valued education her entire life and continues to seek opportunities to learn new things. Suri and Edda worked as a team to create a successful seed business, which was later sold. The bulk of the funds were used to establish the Sehgal Foundation, an NGO (nongovernmental organization) designed to help the rural poor across India, village by village. While the foundation has tried many approaches to helping people in the villages, its primary focus is on key issues related to poverty—water management, agricultural development, and good rural governance. A woman washes clothes in rural India. Photo by Mick Minard. At first, one of the foundation’s team members tried to encourage villagers to clean up their communities by providing trash bins on street corners. But they soon found children using the bins for swings instead of trash! The team learned from examples like this how important it was to have villagers involved in any decisions related to improving their lives. The only way to truly create change was to empower others to create it themselves. The foundation promotes the concept of good rural governance, which empowers community members to create change in their villages by learning how to take part in democracy in their own communities. They began by teaching villagers about government programs they should benefit from, and placed particular emphasis on empowering women to participate. As empowered men and women become better citizen participants, the foundation continues to see growing transparency in government programs. Marly is now finishing another book for the Sehgal Foundation, this time a history of the foundation’s development work in rural India. The Sehgals want to share the lessons the team has learned over the years. The new book, Together We Empower: Rekindling Hope in Rural India, due out later this year, will feature the foundation’s work in water management, agricultural development, and promoting good rural governance to help the rural poor in India lead more secure, prosperous, and dignified lives. 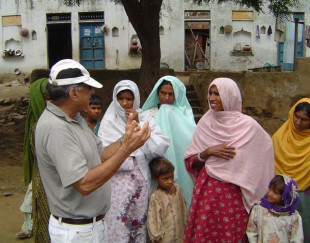 Photos courtesy of the Sehgal Foundation. Feature photo: Suri talks with women villagers in Mewat, India. Alexander Pavlicin is a high school student who has written feature articles and columns for school and community newspapers. He aspires to be an engineer and make a real difference in the world. This article was first published July 2015. UPDATED September 2018: Congratulations! Seeds for Change: The Lives and Work of Suri and Edda Sehgal (2014) and Together We Empower: Rekindling Hope in Rural India (2014) by Marly Cornell (published by Sehgal Foundation) have each received multiple books awards, including International Book Awards. The second edition of Together We Empower is now available in India through Gyan Books Pvt Ltd.
Suri and Edda and the Sehgal Foundation continue to make a difference. Sehgal Foundation’s Transform Lives one school at a time initiative is securing a better future for schoolchildren in rural India by combining the foundation’s key programs in water management, agricultural development, and good rural governance, with a special commitment to empowering girls and women in rural India. The team is renovating and repairing dilapidated and unsafe rural schools to include rainwater harvesting systems, clean drinking water, toilets, sanitary areas for meal prep, and improved playgrounds. In addition to new safe and energized learning environments, students receive vital life skills education and training in digital literacy and good governance awareness. The Sehgal Foundation team partners with rural communities and school management committees to ensure the project’s sustainable impact. Find out more about the initiative at SMSFoundation.org/Transform-Lives.